The Graduate School Career Guide provides a list of resources and events for graduate students and the Office of Postdoctoral Studies provides information and services for those students who would like to pursue a postdoc position. 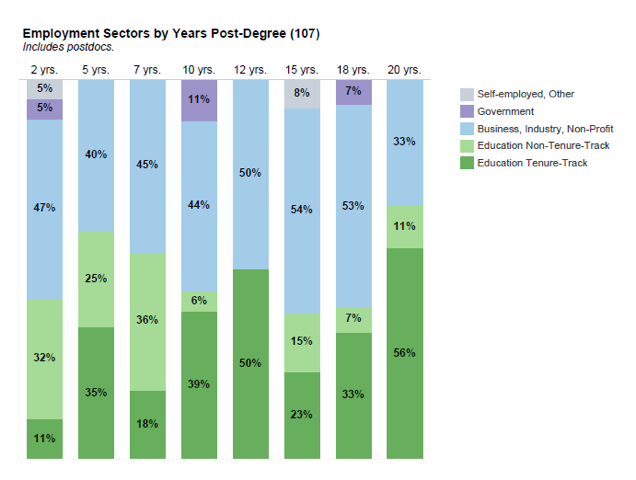 The majority of our graduates get a postdoctoral position in a university after graduating. However, some find employment in government, law and the private sector.